We’re learning more about H3o2 water and how it hydrates the cells! 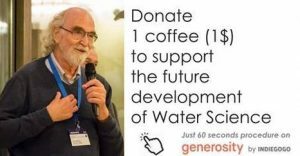 Not only can we “structure” water using Biotite H3O2 Liquid Crystal Minerals but we’re learning more about food and water and how to be healthier. 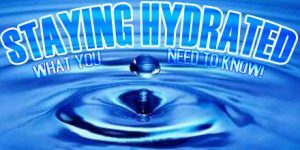 The biggest issue is with people being dehydrated! Please watch the video below, what Gina Bria has to say about H3O2 water and plants is fascinating. Again, someone who recognizes the work of Dr. Gerald Pollack and is sharing her work as well. Accelerated/Increased Heartbeat~ dehydration may indicate changes in electrolytes, leading to low blood pressure. Also, this makes the blood more viscous affecting the blood circulation. Scaly, Dry Skin and Lips~ dehydration causes less sweating, lack of skin elasticity, acne, psoriasis and chapped lips. Need plenty of structured water to flush out toxins. Joint and Muscle Pain~ athletes are especially prone to dehydration issues with little hydration for bones/joints/muscles/cartilage. Fatigue and Lethargy~ dehydration results in low blood pressure, inadequate oxygen flow to the body and the brain. Food Cravings~ when the body lacks water, it send false signals to the BRAIN that it is hungry and usually wants sugar. Drink more structured water. 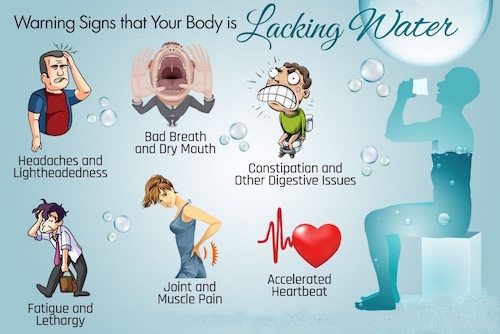 Constipation and Other Digestive Issues~ dehydration causes the digestive system to be “dry” with a lack of water. Hydration lubricates the digestive tract and helps flush out more toxins. Stinky Breath and Dry Mouth~ saliva contains antibacterial properties that help keep the mouth clean. When dehydrated, the decreased saliva in the mouth allows bacteria to thrive, resulting in bad breath. Brain Fog~ difficulty focusing, thinking and communication, can be the result of dehydration. Headaches~ dehydration is one of the major causes for this, with a decreased flow of oxygen/blood, reducing the amount of fluid surrounding the brain. 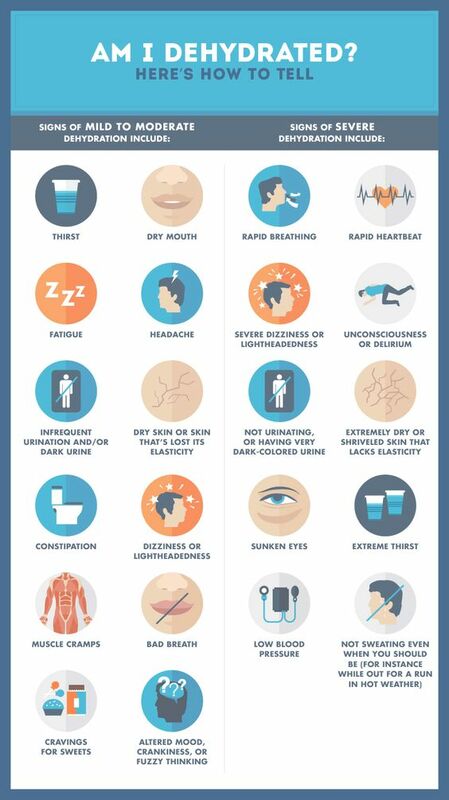 More signs you may be dehydrated! Are you an athlete, business person or parent who is physically active all the time and feel like you have NO energy? 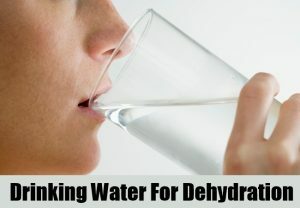 You may be dehydrated, not getting enough water and never quite feel refreshed! Now, drinking H3o2 water satisfies that need by feeding your cells and hydrating your body. BE AWARE. 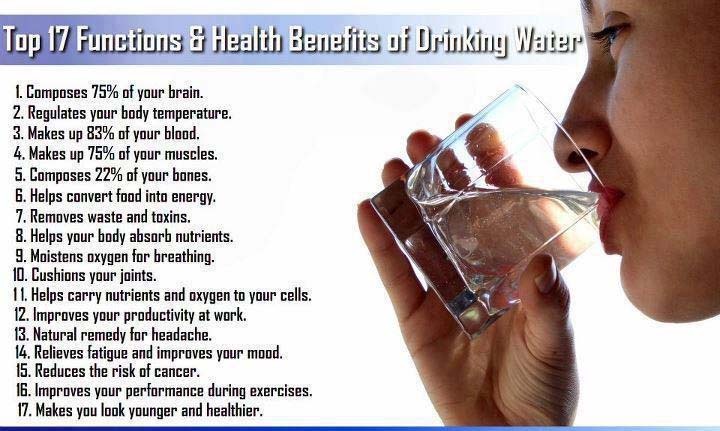 DRINK MORE WATER ~ Biotite H3O2 Liquid Crystal Minerals added to your bottle of water helps keep your drinking water clean, pure and “structured” H3o2! Drink up!